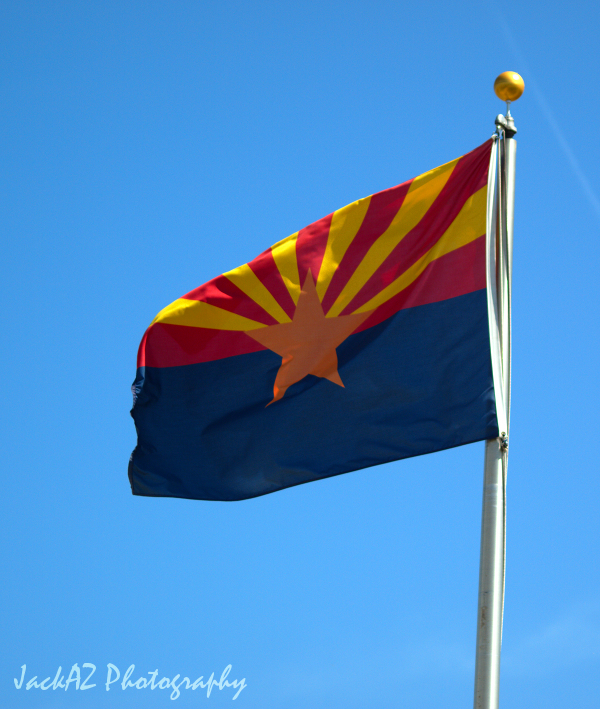 State Flag of Arizona; waving proudly against the clear blue Arizona sky. Photo by JackAZ Photo/Flickr (Noncommercial Use Permitted with Attribution/Share Alike). 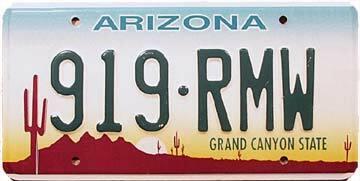 Blue and gold state colors on Arizona license plate; photo © Norm Russo (all rights reserved; used by permission). 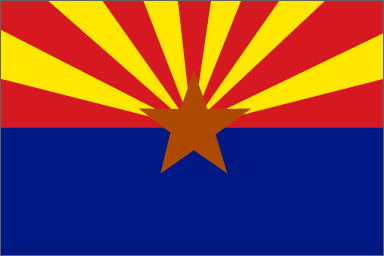 Arizona state flag showing official state colors (blue and old gold). Public domain image on Wikipedia.